A great game day appetizer or even dinner! So easy and full of cheesy goodness! Philly cheesesteaks are one thing I can never get enough of! Try out this version in an easy and quick quesadailla recipe! Who had a quesadilla maker? They are a fun kitchen gadget and saves you the messy step of flipping the quesadillas in a skillet! Love this little timesaver and SO perfect for this recipe! In a skillet, heat olive oil over medium high heat. Saute green peppers and onions for 4-5 minutes, then add steak. Saute for another 2-3 minutes until steak is just cooked through. Heat another skillet or quesadilla maker over medium heat. 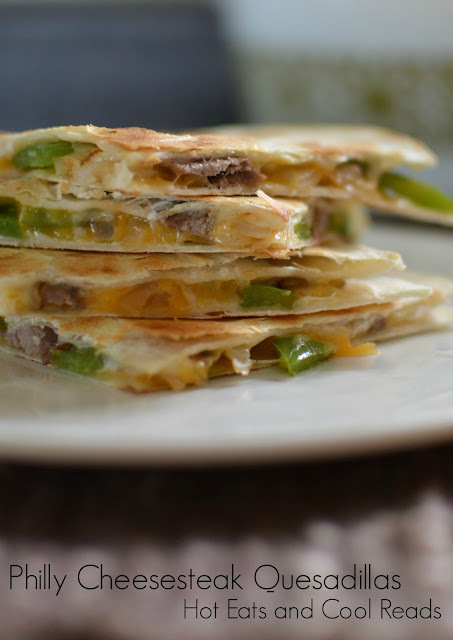 Assemble quesadillas by layering steak, peppers, onion and cheese on a tortilla. Top with another tortilla and place in skillet or quesadilla maker. Cook on broth sides until tortilla is browned and cheese is melted. Cut into triangles and serve immediately. What a great twist on quesadillas!! I'd love one of these for my lunch!! Yum! I love quesadillas and love your version! We love quesadilla night in our house! :) Love this tasty take on them! 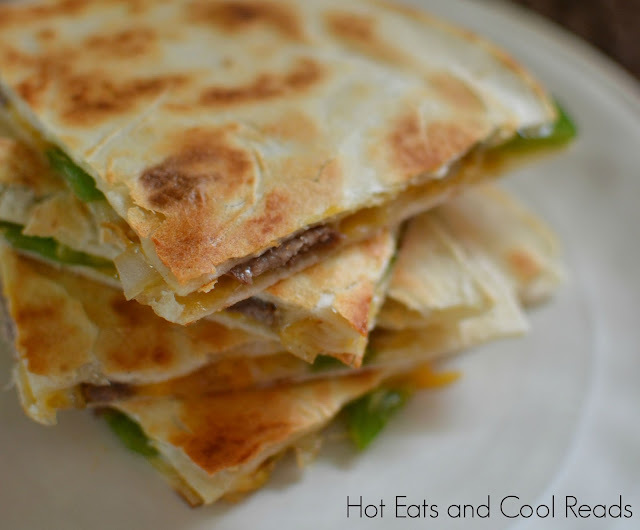 Quesadilla are one of my quick dinners when I need to fix something fast. Love yours! I adore a Philly cheesesteak but they are so fattening. This is a fabulous way to enjoy the flavors in a healthier way.